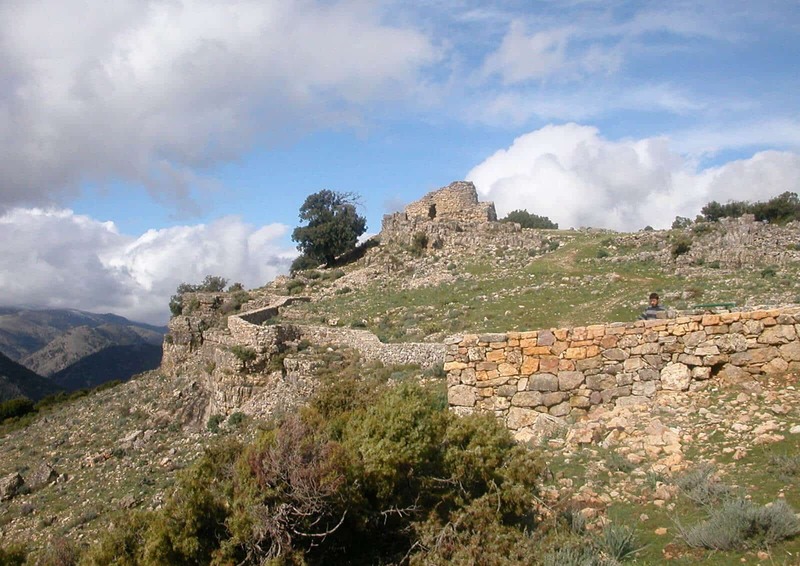 SARDINIA, MYSTERIOUS ISLAND : MYTHICAL ATLANTIS ? Among these, the ancient Greeks had given to Sardinia six different names, demonstrating the consideration they gave to the island, attention that is the basis of one of the theories that would like to identify Sardinia as Atlantis, the mythical land evoked by Plato. The main supporter of this theory is a Sardinian journalist, Sergio Frau. Frau assumes that the pillars of Hercules mentioned by Plato should be located in the Sicilian Channel (subject often to strong currents, as described by Plato): Thus, the Nuragic people would coincide with Shardana mysterious people or Šerden (from which the current name would originate, Sardinia precisely), quoted among the “peoples of the sea” who tried to invade the Kingdom of Egypt and whose existence is witnessed by the recent discovery of the statues of the “giants of Mont’e Prama“, in the territory of Cabras and regarded as the Warriors chosen as the personal guards of the Pharaoh. 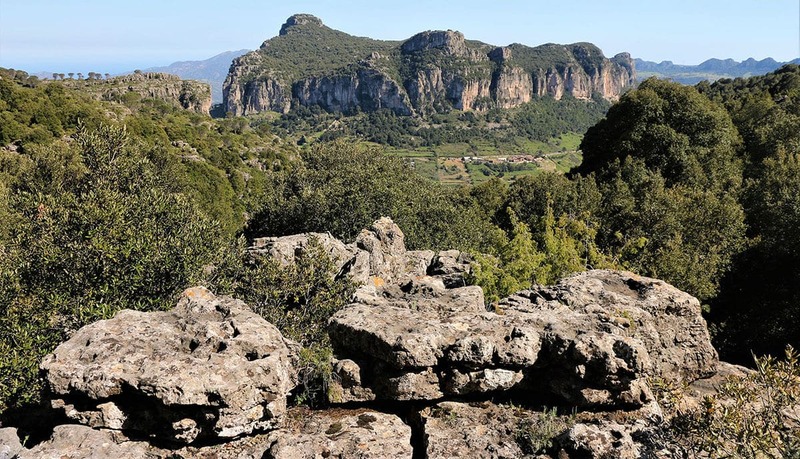 Over 80% of the Sardinian land is mountainous and hilly: some rocky plateaus are called Giara or Tacchi. The coasts are high in the north-east, low and sandy in the south and in the west: there are coastal ponds here, important from an ecological point of view. The Sardinian speleological heritage includes over 1500 caves, many of which can be found in the Supramonte region. Sardinia is characterized by Mediterranean vegetation and a rich diversity of colors and species of tree. Plants resistant to drought; holm oaks and cork oaks adorn its wood, formations of bushes, shrubs, juniper, olives, cysts, myrtle, juniper, rosemary, euphorbia, line its beaches and its hinterland. Among the mammals that populate its woods, the most common are the white donkey, the Giara’s small horse, the Sardinian deer, the wild boar, the weasel. Among the marine fauna, the monk seal is a very threatened species. There are also many national parks and nature reserves on the island. 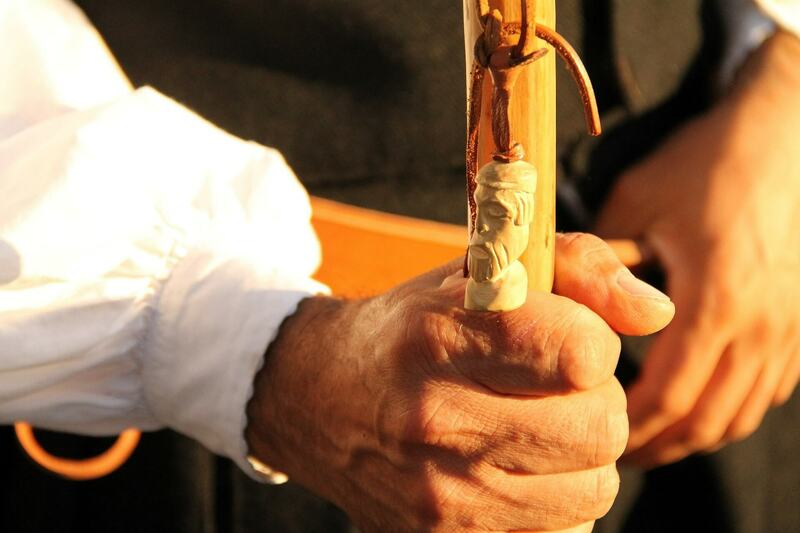 The Sardinians are a very ancient people and, perhaps thanks to insularity, have a solid identity. It is no coincidence that Sardinian is recognized as an Italian linguistic minority, for that peculiarity of having kept intact some sounds of the Latin. Despite the island’s geographical conformation, thanks to the presence of vast uncontaminated areas that allow breeding animals to semi-wild status, the Sardinians have always been mainly engaged in farming and agriculture (the island has a very small population compared to its surface, urban areas are small and sparse). Experts try to identify the factor that allows the island to boast a high number of centenarians (a family of Perdasdefogu, in Ogliastra, holds the Guinness World Record for longevity): maybe healthy and almost exclusively local food, good wine, no stress, strong social bonds.. Among the best known and renowned Sardinian personalities, you maybe know Grazia Deledda, writer and first Italian woman to win the Nobel Prize in Literature in 1926, and Antonio Gramsci, politician and philosopher, among the founders of the Communist Party of Italy in 1921. Many other politicians of national importance, as Enrico Berlinguer secretary of the strong Italian Communist party in the 70s and Francesco Cossiga in charge as President of the Republic were born and lived in Sardinia. Sardinia is also known for its vast heritage of traditions, jealously handed down for centuries and characterized by archaic rites. 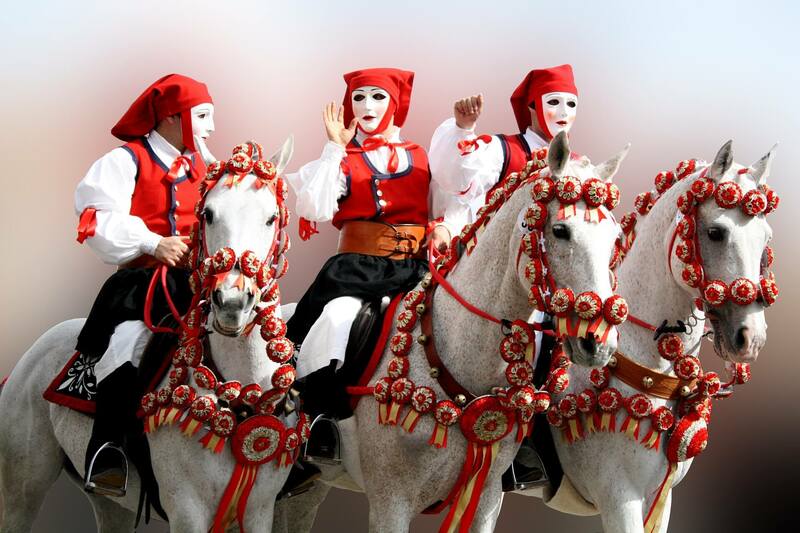 One of the most famous is certainly the Carnival; every year, on the occasion of this celebration, there are different events in different village with masks that originate from the Dionysian rites and also refer to the agro-pastoral tradition; the Mamutones or the Boes e Merdules are among the most famous. The carnival of the town of Mamoiada with the Mamutones, organizes representations that have at heart the cycle of life and death. Even the traditional costumes and dress (such as those of Orgosolo) have a thousand-year history and are worn during popular festivals, such as the Sant ‘Efisio’s Feast on May 1 in Cagliari or during Redeemer’s Feast in Nuoro in August. The textile production has an ancient history behind it, which brings back in the centuries up to the Roman age; the fabrics represent scenes of everyday life, however, imbued with a certain sacredness. An internationally renowned ogliastrine artist, Maria Lai, has taken up this tradition to create masterpieces of contemporary art that can be admired in her native country, Ulassai, and in the museum she created, La Stazione dell’Arte. As well as its territory, even its cuisine and its culture have a centuries-old history; just think that the typical wine of the island, the Cannonau, from which a good red wine is made, is considered as the longest-lived of the Mediterranean. With characteristics similar to the French Grenache or the Spanish Garnacha, until recently it was thought to be a derivative of the latter; hypothesis then denied by the discovery of some remains of pomace dating back to 3200 years ago in different areas of the island. The other typical Sardinian grape is Vermentino from which a white wine is obtained. Contrary to its geographic shape that would suggest a cuisine based above all on fish, in reality the most appreciated dishes of the island derive rather from the pastoral and agricultural tradition. The suckling pig (known as Porceddu) or the dairy lamb (from which the typical Ogliastrine dish is obtained, Sa trattalia), are particularly tasty meats and their strong flavor is the effect of breeding in the semi- wild, possible thanks to the presence in Sardinia of many green areas of unspoiled nature. The wild boar meat is also particularly appreciated, with numerous specimens still present in Sardinia. 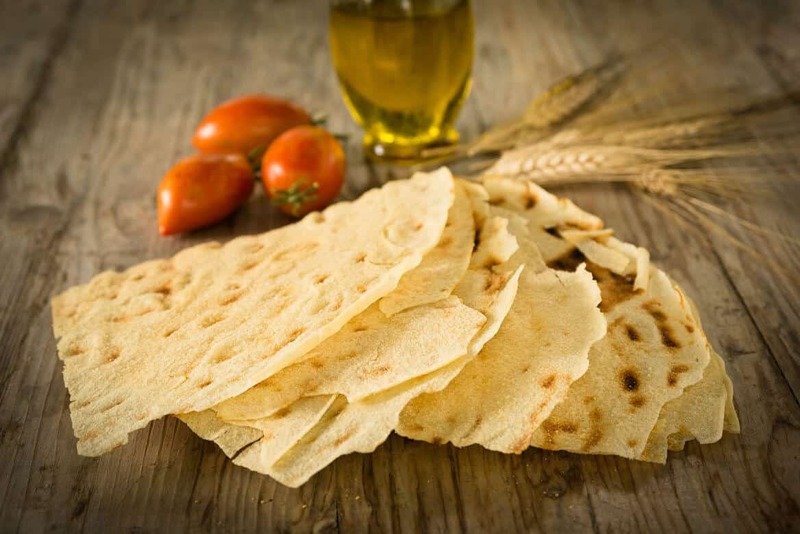 Each region has its typical products; among the most famous, the culurgiones (ravioli stuffed with potatoes, mint, garlic and pecorino cheese), the fregula, produced by “rolling up” the semolina in a large bowl of faience and roasted in the oven, served mainly with fish. But also “seada” or “sebada”, sweet made with semolina, filled with cheese, and served with honey (or sugar) and many other delights to discover ! Sardaigne en liberté, with its mixed team of Sardinians and French, passionate about its nature and its traditions, accompanies you in this mythical, magical and hospitable island, between its territories and its turquoise sea, to discover its millennial traditions, its unique language and its landscapes. Our imperative : respect and preserve the Sardinian environment, supporting local actors who are committed to follow a traditional and authentic production. An ethical and sustainable approach and a great love for archeology and the history of this island of a thousand stories !